Save $24 for a limited time! Had to Amazon to snag this Sodynee New Faux Leather Folding Shoe Storage Ottoman Cube for only $25.99, regularly $49.99. 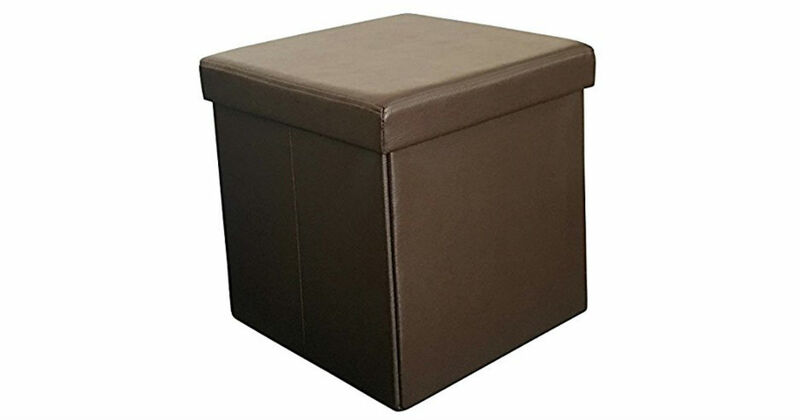 Completely flat, the Faux leather storage ottoman is approx 3 inch tall, but when fully assembled, the storage coffee table ottoman can support up to 300lbs on the comfortable padded seat.